I wrote recently in Harvard Business Review that the age of winner-takes-all has made it nearly impossible for most emerging companies to have any chance against the ICT utilities like Google, Facebook and Amazon. Because of the inherent platform benefits in which a key feature is having many users, winning against these entities could be extremely challenging locally since they have the users already. So, even after cloning or making a better Facebook (technically), you have not done anything of value if there is no person there. In a piece in Quartz newsletter, Allison Shrager explains how the dominant digital monopolies have produced different results for consumers: yes, Facebook is not charging us “more” (financially) if it ever charged despite being the category-king in its sector. Google has not taken the power of its search dominance to demand that everyone pays before we can hit that search button. Simply, it may not really hurt, to a large extent, if we have these digital entities despite them being monopolies! Of course, there are many other impacts but on pure consumer money in the wallets, the impacts of digital monopolies are different from the traditional industrial monopolies that dominated markets and increased prices to the chagrin of regulators. The specter of monopolies and the threat of concentrated market power are getting renewed attention in the age of Amazon and once-unthinkable massive corporate mergers. Market concentration is being blamed for almost everything that is wrong today, from stagnating wages to the rise of fascism. There are now fewer firms in the US economy since the 1980s, and they are big. The Council of Economic Advisors estimates market concentration has increased in 75% of industries since the 1990s. The dominance of a few firms conjures images of robber barons from the gilded age, squeezing everyone from consumers to workers. But this is a new gilded age, powered by a more interconnected and global economy. As markets change, so might the ideal structure of companies. With that change comes a new understanding of monopoly power, and a reappraisal of its costs, and even possible benefits. 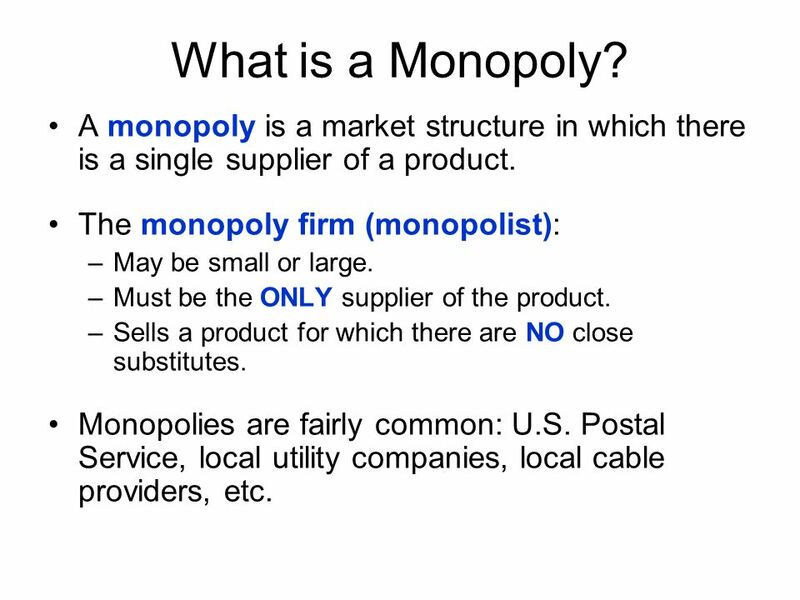 Traditionally, the problem with monopolies is they stick it to consumers. While market concentration has increased since the 1980s, prices on many goods have not. There are fewer airlines, but the prices of flights (after we adjust for inflation) have fallen. Prices on many consumer goods, like washing machines, food, TVs, and electronics (once you control for quality), have also become more affordable, even as there are fewer manufacturers. Big firms can also limit competition. It’s true that there are now fewer startups and less entrepreneurship, a trend that started in the 1980s and accelerated after 2000. But if the economy were less competitive, you’d expect firms would become less productive, and the opposite is true. One study estimates that the most concentrated industries are the ones where productivity increased the most. It could be the rewards of success: The firms that innovated may have become more productive and taken a large share of the market. Simply, for the fact that having many people in Facebook makes it better, and Facebook has not increased prices, there is a good argument that having one Facebook is far better than having 5 different Facebooks. That is the reality of digital monopolies for users – concentration of power may not necessarily be extremely harmful to user experiences and wallets! The question then is thus: which country would produce the winner per category since largely one winner typical exists. And when that winner triumphs, sucking all the financial benefits from all, how could nations handle the imbalance (South Africa has some ideas). For all purposes, global economy has been redesigned by modern digital technologies: Africa needs to update its economic tools to capture the new realities.